CRUISIN AUTOMOTIVE are dealers for Comp Cams the leader in valve train technology. 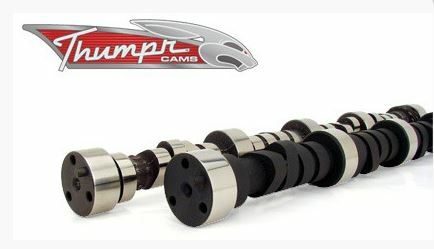 Thumpr™ cams deliver incredible exhaust lope and impressive performance. Without question Thumpr™ cams are in a class by themselves when it comes to serious “seat of the pants” performance and aggressive idle. 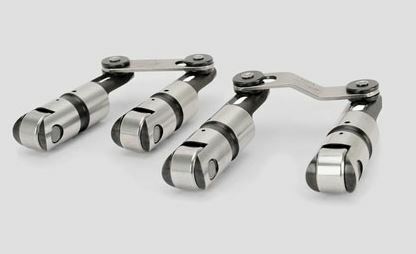 Hydraulic Roller Lifters decrease friction and increase longevity when directly compared to flat tappet lifters. 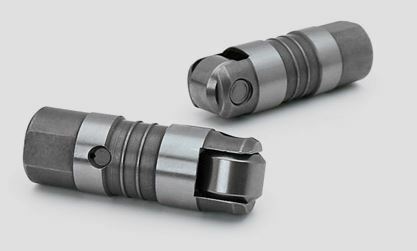 They also accept much more aggressive cam profiles than flat tappet lifters allow. Hydraulic Roller Lifters are perfect performance replacements for stock hydraulic roller lifters or retro-fit hydraulic roller lifters for non-roller blocks. Both the OE style Hydraulic Roller Lifters WITH link bars and the retro-fit Hydraulic Roller Lifters WITHOUT link bars can be used with all hydraulic roller camshafts from COMP Cams. Sportsman Lifters from COMP Cams are designed to be a premium and lighter weight upgrade over Endure-X Lifters and a value alternative to the Elite Race option. Sportsman Lifters are offered in two configurations: a traditional needle bearing axle/wheel design or an optional bronze bushing axle/wheel setup.